If you need more space in your home but don’t want to add-on or undergo a major remodel, built-in solutions are the right choice for you. Bay Home & Window can provide a customized storage solution for several areas of your home including your closet, garage, home office, and more. We can help you eliminate clutter and chaos from your life. From start to finish, Bay Home & Window will ensure the process goes smoothly. We start with a free in-home consultation where you will meet with our expert design team. Our state-of-the-art 3D design software will show you exactly what your project will look like when it’s finished. Our organization systems and created with an emphasis on elegance, function, and organization. Our designers will take inventory of your needs and your lifestyle and create a custom solution to declutter your world. In addition to our free in-home design consultation, you’ll also be saving 20 to 30% thanks to our wholesale prices available to the public. Almost any area of your home can become organized and more efficient. Our home office solutions include custom desks, shelving areas, computer areas, bookcase systems, cabinets space, drawers, and file systems, and more. We can combine an office with a guest room and even install a wall bed to make the space more versatile. 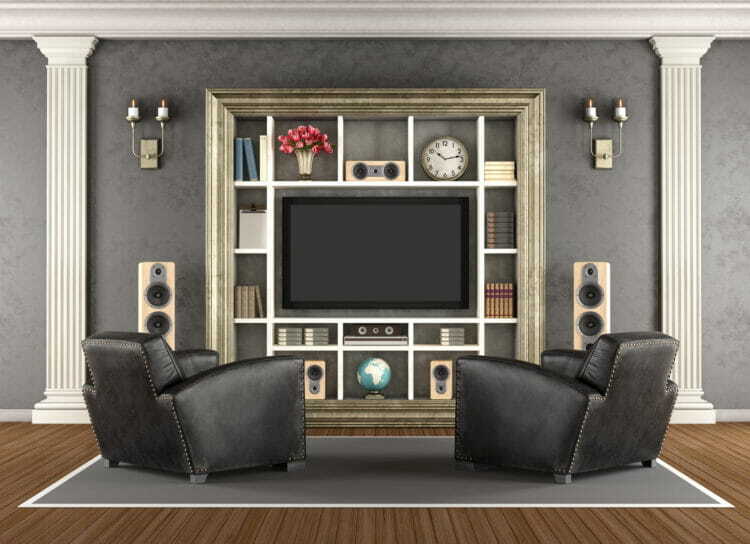 We know that entertainment centers are the heartbeat of your home and we can convert any wall, corner, or alcove of a room into an elegant and functional system that can include custom television integration, built-in speaker and wire housing, media storage, and more. Our built-in solutions also include garages, pantries, mudrooms, laundry rooms, and more. Give us a call today at 925-264-6746 for more information or to schedule your free in-home consultation.